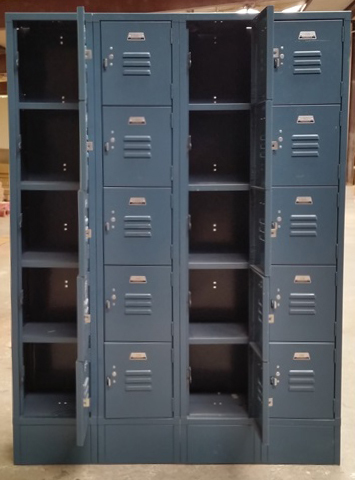 These Blue Five Tier Office Lockers are available on www.buyusedlockers.com where they have a huge selection to choose from if we need additional supplies. 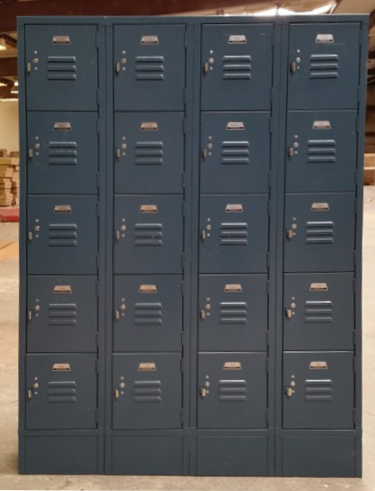 These used 5-tier office lockers are ideally used as employee lockers. You can install these in employee break rooms, bathrooms, offices and warehouses for all of your storage needs. Each door has its on number plate and can be locked with a common padlock. These include 6" legs and leg covers.